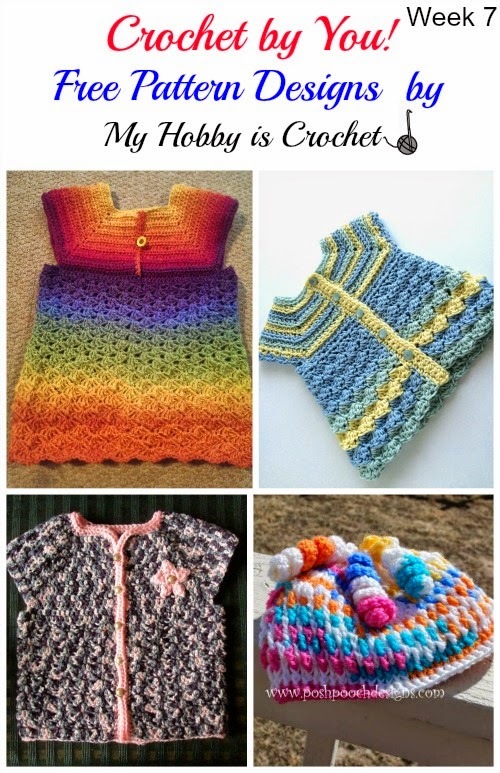 This is my 7 th blog post featuring crochet projects made by followers using my free crochet patterns. I am always happy when I see all the beautiful creations! Look at this color explosion! 1) Wow! 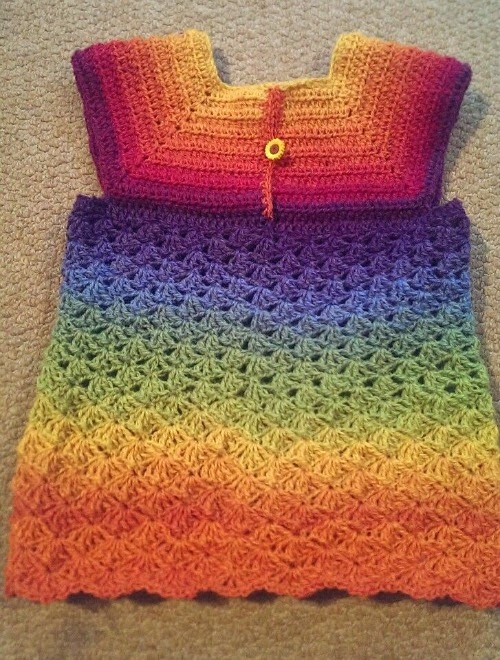 Isn't this rainbow top made by Grace Lane absolutely amazing? I felt in love right away i saw it on Pinterest! I asked Grace if I could feature her picture on my blog and she was so kind to give me permission. She also let me know that she used Kauni yarn from eBay ("pretty scratchy but it looks nice", she said). 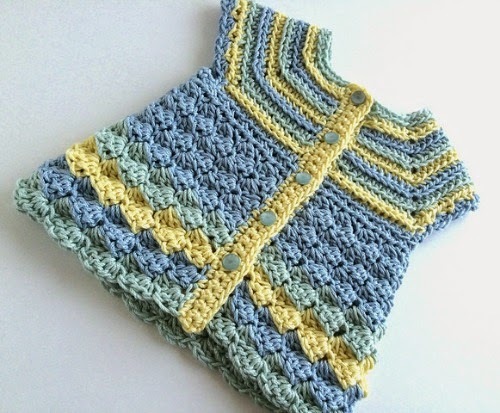 2) Beautiful short sleeved baby cardigan made by Lisa. I really love the color combination she chose, it reminds me of sun, beach and weaves! 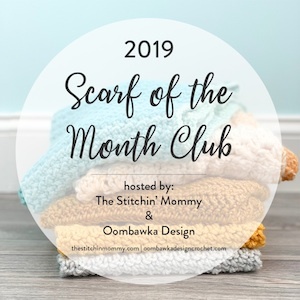 The pattern used is the Stripes and Bubbles Baby Cardigan. This cardigan was made with Cotton Twist yarn from Red Heart Yarns, that makes it a great summer cardi for the little ones! 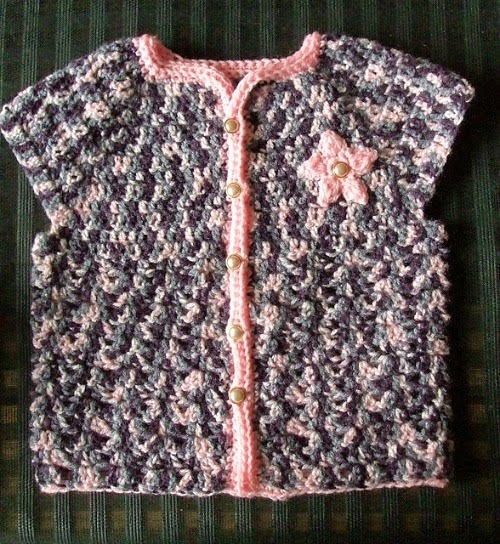 3) Another pretty short sleeved toddler cardigan made with variegated yarn by Marjo Reints. The Little Girl's Cardigan Pattern it's available as written instructions and crochet chart and it is one of my most popular designs. 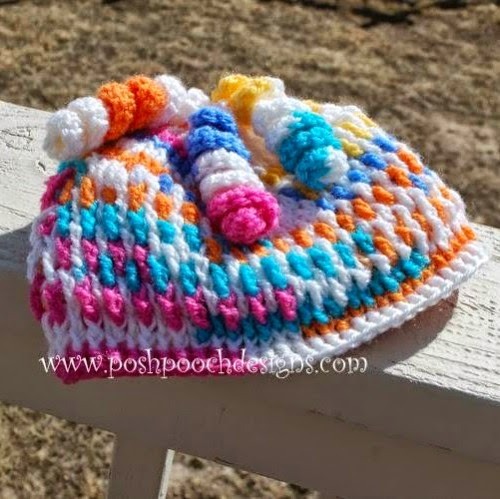 4) This beautiful toddler hat was made by Sara of Posh Pooch Designs Dog Clothes. What a pretty self striping yarn she chose! A nice alternative to the 3 colors change from the Gum Drops Hat Pattern. I hope you enjoyed this lovely projects as much as I did! You can find here other beautiful projects made by followers and featured the previous weeks! They are a great source of inspiration!